Gayle Hanks, a nurse at North, received the Daisy Award. Below is an excerpt from her nomination. The DAISY Award was established by the DAISY Foundation in memory of J. Patrick Barnes who died at 33 of ITP, an auto-immune disease. 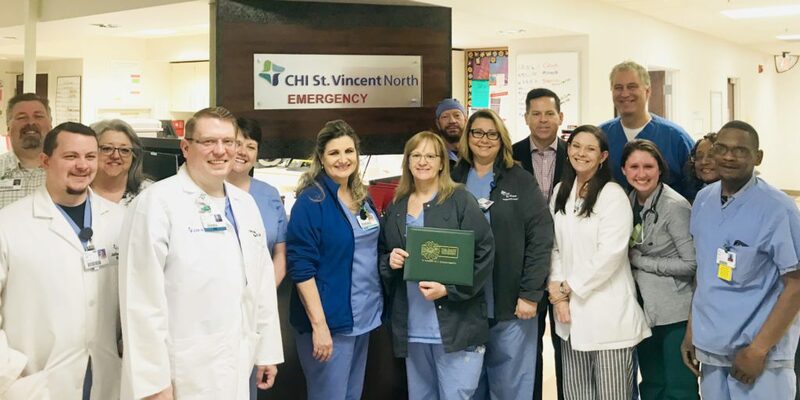 The Barnes Family was awestruck by the clinical skills, caring and compassion of the nurses who cared for Patrick, so they created this national award to say thank you to nurses everywhere.